3-seat Sofa shown. This model, SIE-5001 is a 5-Seater. 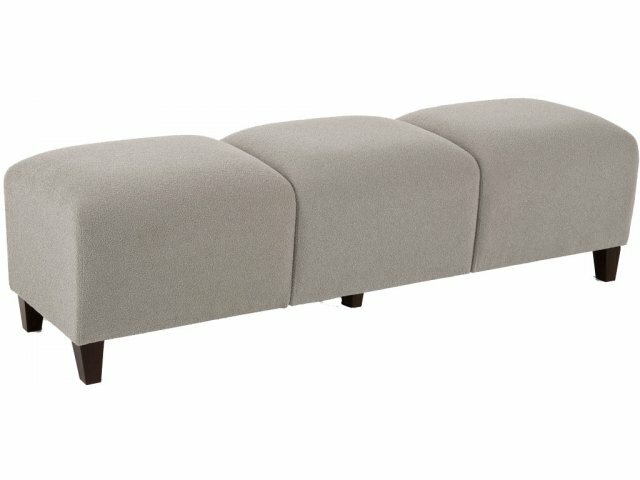 Get long rows of reception seating with a luxurious contemporary style when you choose Upholstered Benches from the Siena Series. This comfy cushioning is sure to become a fast favorite among visitors and guests. Siena Series waiting room chairs provide ultimate durability and comfort for busy reception areas. They are graceful and fully-upholstered with a transitional curved arm design that blends beautifully with modern office décor. This modular waiting room furniture system allows complete layout flexibility so you can find the perfect configuration for every space. Siena reception seating feels as good as it looks. A Matrex seat support system and heavy-duty construction provide enduring comfort. High weight capacities on these club chairs, sofas and loveseats let everyone enjoy cozy seating. Whether people are just waiting a few minutes before the meeting starts or curling up with a favorite book in the library, they are sure to appreciate the elegant, cushy seats. For a totally coordinated lobby, add some alluring matching occasional tables to complete the look. 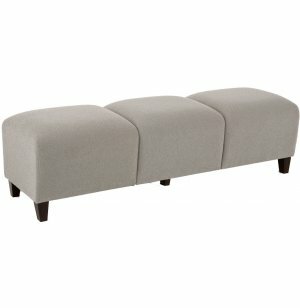 Upscale Design: Gracefully designed with fully upholstered seating and thick comfy cushioning. Versatile Collection: The Siena Series will be right at home in a lobby, library or anywhere else where elegance and comfort are desired. Ultra-Sturdy Build: Heavy-duty construction and a Matrex seat support system make high weight capacity models that are perfect for demanding environments. Attractive Options: Available with solid wood or brushed-steel legs with unlimited fabric and finish options. Modular Design: See full series of occasional tables, club chairs, sofas and loveseats for endless layout possibilities.